C-Innovation, LLC (C-I), an affiliate of Edison Chouest Offshore (ECO) and its family of companies, has announced the formation of a turnkey subsea projects group. Capable of providing a complete solution to its global customer base without having to venture outside the diverse and large family of Chouest companies worldwide, the new group is based in the heart of the energy corridor in ECO’s Houston, Texas office. “This represents a significant milestone for C-I, and it helps solidify our reputation as a true turnkey provider of subsea services with the backing and support of the diverse family of companies within the ECO group,” says David Sheetz, Manager of C-I’s Subsea Division. C-I’s in-house project management team provides engineering support, procedure development and review, project execution and final reporting requirements. And with access to ECO’s vast inventory of mission-specific vessels, it provides greater flexibility in matching and scheduling of assets, and ultimately, savings to the customer. Additionally, the diverse group of companies also includes Chouest’s various port facilities, logistics company, tank cleaning services, shipyards and dry-docks, all located throughout the U.S. Gulf Coast and Brazil. With corporate headquarters in Mandeville, LA, C-I’s advanced ROV capabilities provide a broad spectrum of support to subsea construction projects, as well as drilling, intervention, maintenance and heavy lift assignments. 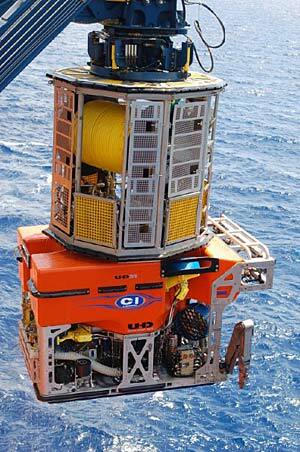 C-I was founded in 2007 to meet the growing demand for advanced ROV operations in the Gulf of Mexico. It began expanding into a highly diversified subsea construction group in 2010 supporting major marine oil and gas operators worldwide.